Let us help you create lasting memories with uncompromised attention to detail and craftsmanship. 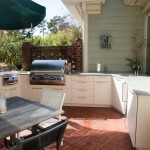 The design of your unique outdoor kitchen will encompass a selection of elegant appliances and sturdy outdoor cabinets. 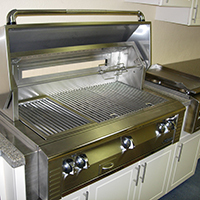 Whether your grill needs a new part or just a good cleaning, your Backyard Specialist has you covered! 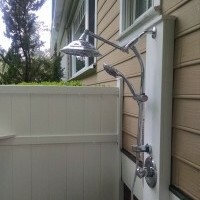 Outdoor showers should be fun and functional! 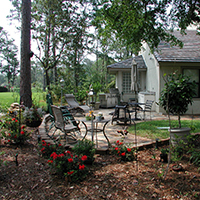 Make the most of your small outdoor space or blend one into the existing architecture. 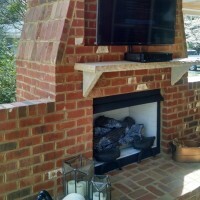 With a custom outdoor fireplace, you have control of the size, style, and material. Choose from a wide variety of sturdy, yet elegant finishes. 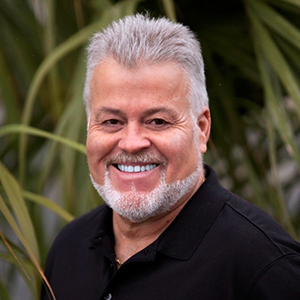 Gene is a native of the Wilmington area and has been in the construction industry for over 30 years managing everything from large government contracts to new home construction to large and small home renovations. 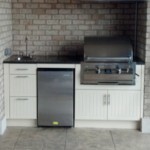 There is very little that Gene has not seen in his time as a general contractor, which is why your outdoor kitchen is ensured to get designed and installed without any hiccups. Like Gene, Jennifer is also a native of Wilmington. 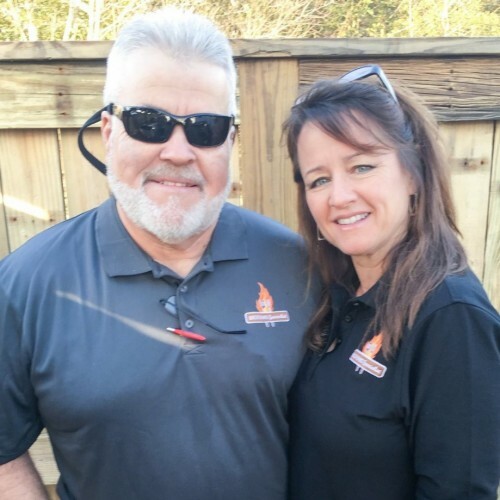 Some of her greatest strengths lie in the day-to-day aspects of an Owner-Operator role. 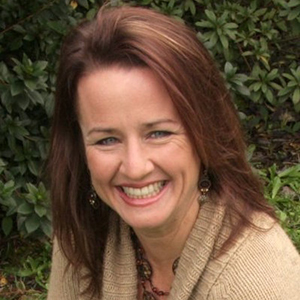 With a combined 20+ years of management experience, Jennifer knows what it takes to complete a specialized project with a personalized touch. She looks forward to your backyard consultation! 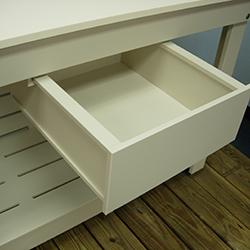 Our cabinets are completely customizable and can be made in a large variety of heights, widths and depths. 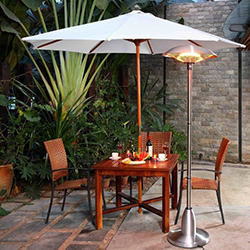 A powerful patio heater will keep your intimate outdoor gatherings from freezing over. 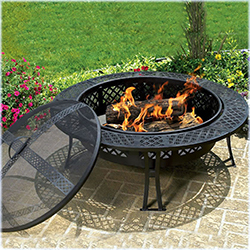 Fire pits are the perfect (all year) way to socialize with friends and family! This natural stone will add a unique and elegant beauty to your outdoor kitchen. No reason to run in and out for a cool beverage! 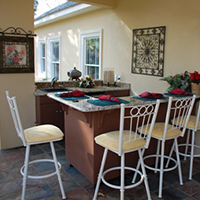 Entertain on your patio with an outdoor refrigerator or wine cooler. 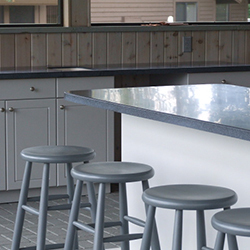 We couldn’t be more thrilled with our summer kitchen! 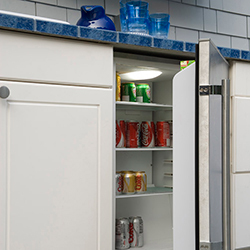 What once was a non-functional stucco cabinet base and inefficient electric grill has been transformed into an attractive well-designed cabinet with usable storage. 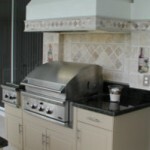 My wife and I love the cabinets and are really enjoying our outdoor kitchen! A warm welcome from Gene and Jennifer!! 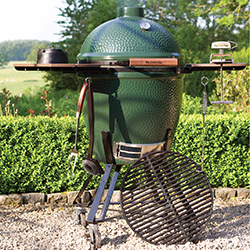 We are excited to share Backyard Specialist with you!